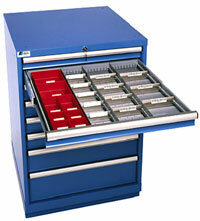 Storage cabinets are available in a wide variety of sizes and styles. 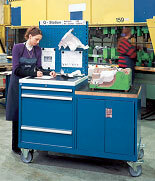 Cabinets can be purchased fully assembled, welded, knocked down and with or without bins. 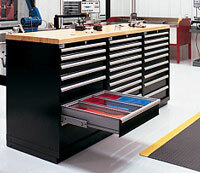 Whether for the office or the warehouse, we will have the cabinet to fit your need. 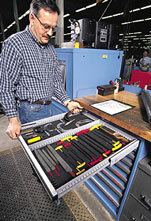 Modular drawer cabinets allow you to optimize the space required for storing small parts.